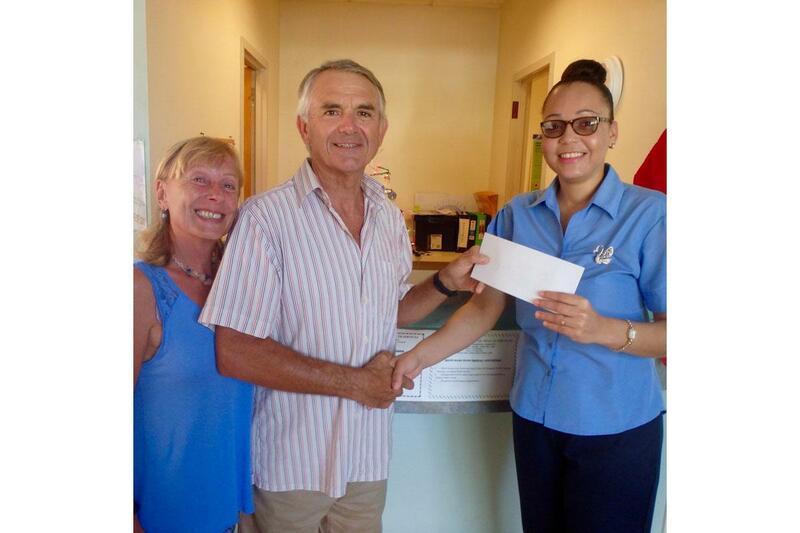 The Rotary Club of Southport Links support the Children’s Eye Test programme on the Caribbean island of Carriacou, in conjunction with The Carriacou Rotary Community Corp.
he first picture is Dale and his wife, Hilary presenting the cheque to the manager of the local health clinic, Sheena Cadore. 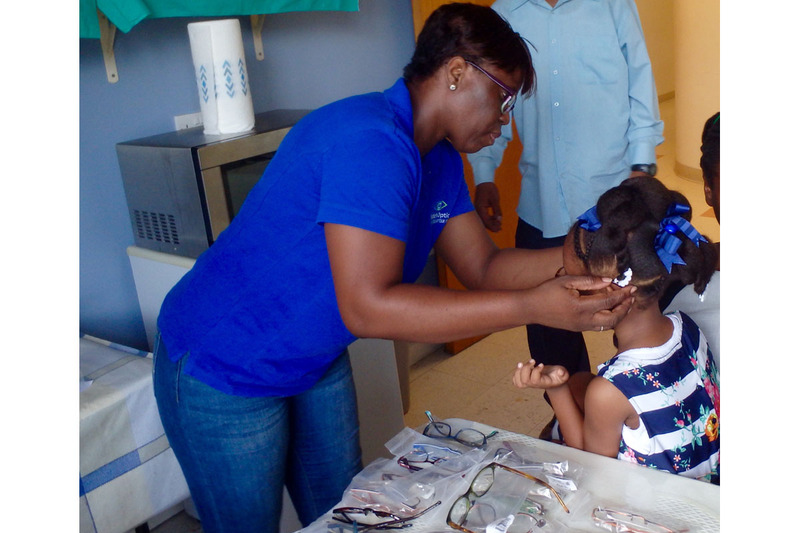 The next pics show a couple of the recipients being fitted for their spectacles. 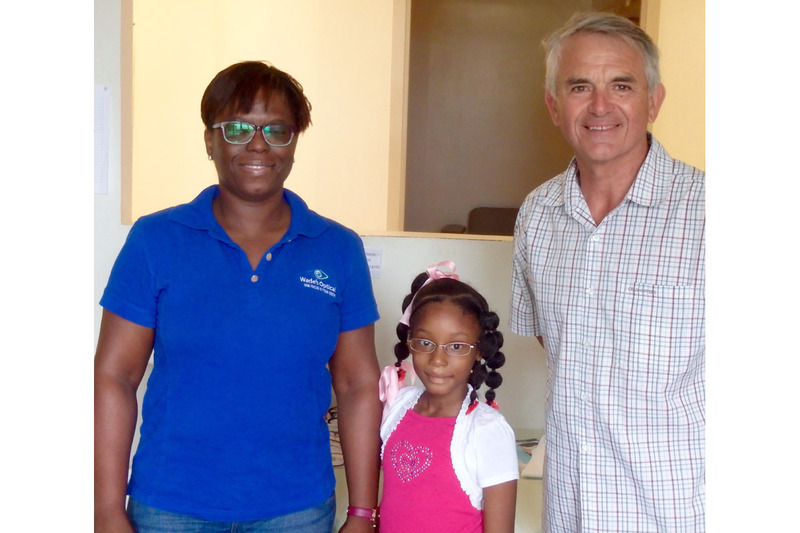 The lady in the blue polo shirt, Roxanne Wade is an optician who comes up from Grenada once a week and provides a free fitting service for the children. 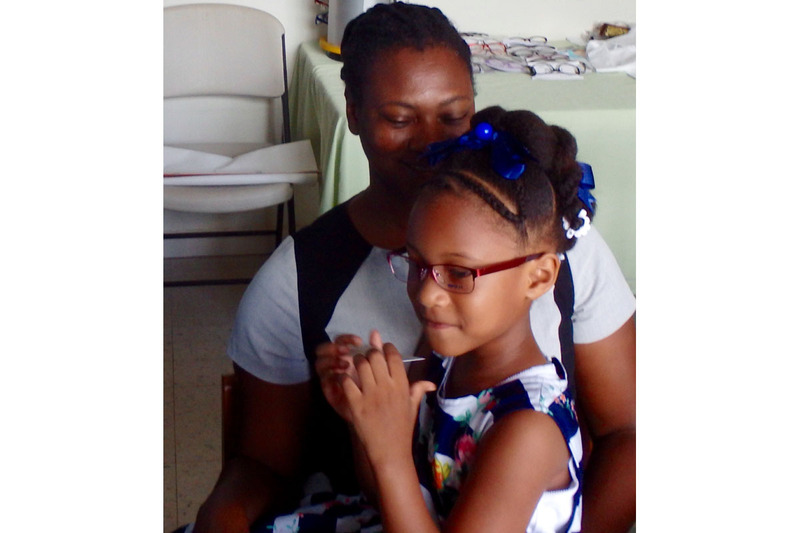 A small project that makes a big difference to the lives of the children.